Ascione, F. R., McDonald, S. E., Tedeschi, P., & Williams, J. H. (2018). The relations among animal abuse, psychological disorders, and crime: implications for forensic assessment. Behavioral sciences & the law. Aspling, F., Juhlin, O., & Väätäjä, H. (2018, September). Understanding animals: a critical challenge in ACI. In Proceedings of the 10th Nordic Conference on Human-Computer Interaction (pp. 148-160). ACM. Barrett, B. J., Fitzgerald, A., Peirone, A., Stevenson, R., & Cheung, C. H. (2018). Help-seeking among abused women with pets: Evidence from a Canadian sample. Violence and Victims, 33(4), 604-626. Best, J. (2018). Constructing animal species as social problems. Sociology Compass, e12630. Brookes, V. J., VanderWaal, K., & Ward, M. P. (2018). The social networks of free-roaming domestic dogs in island communities in the Torres Strait, Australia. Preventive Veterinary Medicine. Brown, C., Wang, Y., & Carr, E. (2018). Undercover Dogs: Pet Dogs in the Sleep Environment of Patients with Chronic Pain. Social Sciences, 7(9), 157. Cameron, M. (2018). Morlocks and Mudfish: Anthropocentrism and Evolution in the Early HG Wells. Cao, D. (2018). Ethical Questions for Research Ethics: Animal Research in China. Journal of Animal Ethics, 8(2), 138-149. Causey, M. (2018). The Animal Ethics Reader, Edited by Susan J. Armstrong and Richard G. Botzler. Teaching Philosophy, 41(3), 315-318. Chaniotakis, I., Evangelos, D., Georgios, M., Andreas, M., & Kostomitsopoulos, N. (2018). Improving Military Dogs’ Welfare: Is there a Place for Handlers’ Beliefs and Perceptions?. Society & Animals. Corleto, D. (2018). Prison Rehabilitation: The Sociological, Physiological, and Psychological Effects of Animal-Assisted Interventions. Themis: Research Journal of Justice Studies and Forensic Science, 6(1), 8. Cortez-Aguirre, G. R., Jiménez-Coello, M., Gutiérrez-Blanco, E., & Ortega-Pacheco, A. Veterinary Medicine International Stray dog population in a city of Southern Mexico, and its impact on the contamination of public areas. Crowther, R. (2019). Anthropocentrism, Agency, and the Transforming Self. In Wellbeing and Self-Transformation in Natural Landscapes (pp. 237-273). Palgrave Macmillan, Cham. d’Ovidio, D., & Pirrone, F. (2018). A cross-sectional survey to evaluate the pet squirrel population and ownership profiles. Preventive Veterinary Medicine. Duncan, E., Graham, R., & McManus, P. (2018). ‘No one has even seen… smelt… or sensed a social licence’: Animal geographies and social licence to operate. Geoforum, 96, 318-327. Fenner, K., Freire, R., McLean, A., & McGreevy, P. (2018). Behavioral, demographic and management influences on equine responses to negative reinforcement. Journal of Veterinary Behavior. Furlong, E., Silver, Z., & Furlong, J. (2018). Anthropocentrism as cognitive dissonance in animal research?. Animal Sentience, 1(12), 11. Gössling, S. (2018). Tourism and Biodiversity. The SAGE Handbook of Tourism Management, 437. Goyes, D. R., & Sollund, R. (2018). Animal abuse, biotechnology and species justice. Theoretical Criminology, 22(3), 363-383. Handlin, L., Nilsson, A., Lidfors, L., Petersson, M., & Uvnäs-Moberg, K. (2018). The Effects of a Therapy Dog on the Blood Pressure and Heart Rate of Older Residents in a Nursing Home. Anthrozoös, 31(5), 567-576. Huebert, D. (2018). Species Panic: Interspecies Erotics in Post-1900 American Literature. Kenney, A. H. (2018). Animals in Fact and Fiction (Master’s thesis). Klestil, M. Narrating in Fluid Frames: Overcoming Anthropocentrism in Zora Neale Hurston’s Early Short Fiction on Rivers. Studies in Environmental Humanities, 34. Leow, C. (2018). It’s Not Just A Dog: The Role of Companion Animals in the Family’s Emotional System. Lockwood, R. (2018). Animal hoarding: The challenge for mental health, law enforcement, and animal welfare professionals. Behavioral sciences & the law. Luna-Cortés, G. (2018). The Influence of Materialism and Self-Congruity on the Relationship of Human With Their Companion Dogs. Social Marketing Quarterly, 1524500418801002. Lyn, H. (2018). On Floating Cats, Good Boys, and Shapeshifting Zookeepers: Animals in Night Vale. In Critical Approaches to Welcome to Night Vale (pp. 51-67). Palgrave Pivot, Cham. McDermott, M. P. (2018). Veterinary communication skills and training in the United Kingdom and the United States of America (Doctoral dissertation, University of Nottingham). McReynolds, P. Practical Posthumanism in the Philosophy of John Lachs. Value Inquiry Book Series, 39. Modlinska, K., & Pisula, W. (2018). Selected Psychological Aspects of Meat Consumption—A Short Review. Nutrients, 10(9), 1301. Bir, C., Olynk Widmar, N., & Croney, C. (2018). Exploring Social Desirability Bias in Perceptions of Dog Adoption: All’s Well that Ends Well? Or Does the Method of Adoption Matter?. Animals, 8(9), 154. Monteiro, R., & Reis, G. (2018). Animals “Я” Us: Egomorphism in/for Science and Environmental Education. Society & Animals. Narayanan, Y., & Gillespie, K. Animal nationalisms: Multispecies cultural politics, race, and nation un/building narratives Friday 12 October 2018 9.30 am–4pm Deakin Downtown Inspired by a special issue submission for the Journal of Intercultural Studies. Normando, S., Pollastri, I., Florio, D., Ferrante, L., Macchi, E., Isaja, V., & de Mori, B. (2018). Assessing Animal Welfare in Animal-Visitor Interactions in Zoos and Other Facilities. A Pilot Study Involving Giraffes. Animals, 8(9), 153. Podosky, P. M. (2018). hermeneutical injustice and Animal Ethics: Can nonhuman Animals suffer from hermeneutical injustice?. Journal of Animal Ethics, 8(2), 216-228. Rego, A., & Munro, I. (2018). Dogs in Organizations. Human Relations. Rosenfeld, D. L. (2018). A Comparison of Dietarian Identity Profiles Between Vegetarians and Vegans. Food Quality and Preference. Rybska, E. (2018). Promoting IBSE Using Living Organisms: Studying Snails in the Secondary Science Classroom. In Professional Development for Inquiry-Based Science Teaching and Learning (pp. 43-63). Springer, Cham. Satama, S., & Huopalainen, A. ‘Please tell me when you are in pain’: A heartbreaking story of care, grief and female–canine companionship. Gender, Work & Organization. Schork, I. G., de Azevedo, C. S., & Young, R. J. (2018). Personality, abnormal behaviour, and health: An evaluation of the welfare of police horses. PloS one, 13(9), e0202750. Seetah, K. (2018). Humans, Animals, and the Craft of Slaughter in Archaeo-Historic Societies. Cambridge University Press. Shreedhar, G., & Mourato, S. (2018). Seeing red, but acting green? Experimental evidence on charitable giving and affect towards biodiversity. Siriwardane-de Zoysa, R. (2018). Fisher Lifeworlds, Relational Practices. In Fishing, Mobility and Settlerhood (pp. 57-92). Springer, Cham. Svenungsson, J. (2018). Interdependence and the Biblical Legacy of Anthropocentrism: On Human Destructiveness and Human Responsibility. Eco-ethica. Taylor, N., & Fitzgerald, A. (2018). 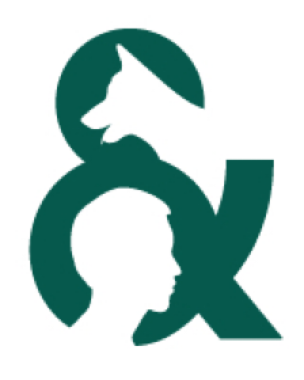 Understanding animal (ab) use: Green criminological contributions, missed opportunities and a way forward. Theoretical Criminology, 22(3), 402-425. Teng, K. T. Y., Devleesschauwer, B., De Noordhout, C. M., Bennett, P., McGreevy, P. D., Chiu, P. Y., … & Dhand, N. K. (2018). Welfare-Adjusted Life Years (WALY): A novel metric of animal welfare that combines the impacts of impaired welfare and abbreviated lifespan. PloS one, 13(9), e0202580. Tlili, S. (2018). Animal Ethics in Islam: A Review Article. Religions, 9(9), 269.
van Herwijnen, I. R., van der Borg, J. A., Naguib, M., & Beerda, B. (2018). Dog ownership satisfaction determinants in the owner-dog relationship and the dog’s behaviour. PloS one, 13(9), e0204592. van Niekerk, L. Pet loss: The Influence of Anthropomorphism, Paedomorphism and Perceived Empathy on Pet Attachment and Grief. Analysis, 1, 12.
van Uhm, D. P. (2018). The social construction of the value of wildlife: A green cultural criminological perspective. Theoretical Criminology, 22(3), 384-401. Wrenn, C. L. 2018. “Free-Riders in the Non-Profit Industrial Complex: The Problem of Flexitarianism.” Society & Animals 26 (4). Online first. Yamamoto, M., & Hart, L. A. (2019). Providing Guidance on Psychiatric Service Dogs and Emotional Support Animals. In Clinician’s Guide to Treating Companion Animal Issues (pp. 77-101). Academic Press.